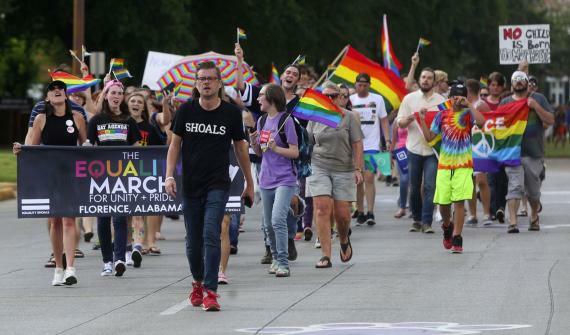 Pride parades are not a frequent occurrence in northwest Alabama. 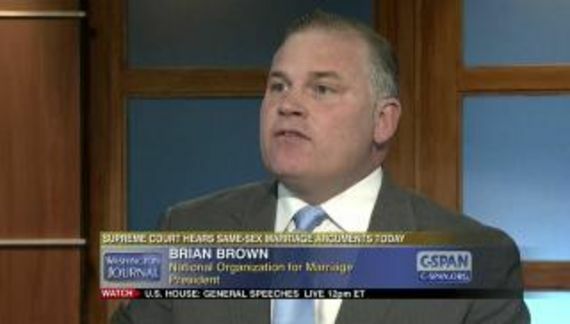 Gays are expected not to offend “normal” citizens with a display of their sexuality. Nevertheless, Pride parade participants in Florence, Alabama were shocked Sunday when the KKK showed up. According to Benjamin Newbern, executive director of Equality Shoals after the shock set in, attendees were embarrassed. Alabama is a breeding ground for ignorance and hate. State law requires public schools to teach that homosexuality is a criminal offense. In a video posted to Facebook, one of the Klansmen explained that he and his fellow white nationalists crashed the event to stand up for their “Christian beliefs,” which they felt were under attack at the Pride parade. There doesn't seem to be a whole lot of difference between the average KKK cretin and Tony Perkins or Mat Staver. That is a false equivalence. A hate group does not present a “side” to a manufactured controversy.